People receiving food assistance at Oruchinga in early March 2018. Source USAID In Africa. The crisis of the refugee is among the most vexing of our time. Today, more than 68 million people around the globe have been forcibly displaced, exceeding the number of those displaced in the immediate aftermath of World War II. The plight of these millions is inextricably linked to the complex, intertwined issues of climate change, economic instability, terrorism, and political unrest. While media coverage of the Syrian refugee crisis and the Rohyinga genocide has raised our collective awareness, it has also contributed to heightened fear and scapegoating of refugees, resulting in a backlash against them. What’s been largely absent from media coverage are the stories of the innovative, alternative solutions refugees have been crafting for themselves, bubbling up from their own communities. Over the last two years, I found myself drawn to research solutions to this humanitarian crisis. The more I explored, the more I questioned the efficacy of the top-down strategies I was discovering. The UN Convention on Refugees, for example, was established in 1951 to ameliorate the crisis, yet over the past 60 years the global population of displaced persons has dramatically increased. The encampment model — the practice of establishing temporary settlements that were never meant to be anything but short-term emergency responses to immediate crises — has instead contributed to the long-term misery of those it was designed to aid. Refugees in fact spend on average 17 years in a camp. Host nations, including Kenya and Bangladesh, already under immense pressure to support the needs of their own citizens, receive only a fraction of what they need from international funding sources to support the millions of displaced persons within their borders. A number of individuals and organizations (including within the UN) are, however, working tirelessly to design entirely new systems, addressing the short-comings of the conventional approaches to the plight of the refugee. One such group, the Refugee Economies Programme (formally the Humanitarian Innovation Project), led by Oxford University’s Dr. Alexander Betts, explores strategies that promote refugee self-sufficiency. Their research, which highlights the many positive contributions refugees make to their host states, is fundamentally shifting the narrative. ​ A report published by the team in 2014 titled “Refugee Economies – Rethinking Popular Assumptions,” called for a radical rethinking in the humanitarian space. The report rebutted five popular myths that perpetuate the widespread beliefs that refugees are: 1) economically isolated, 2) a burden on their host states, 3) economically homogenous, 4) technologically illiterate, and 5) dependent on humanitarian assistance. Click below to listen to singer and songwriter Joice Enosa Mbaraza. Joice Enosa Mbaraza is a South Sudanese refugee living in Uganda. 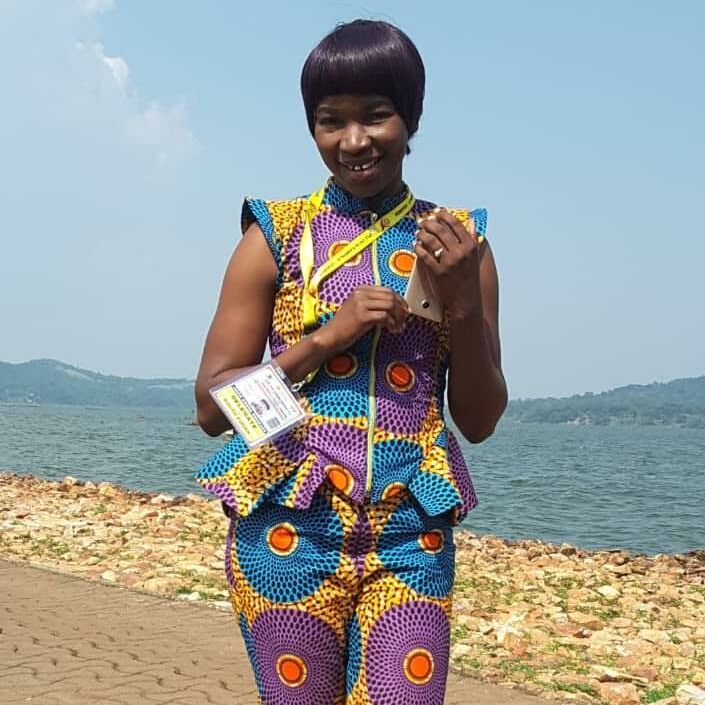 She has been inspired to compose and perform music to empower young African women and to speak out about the indignities many currently suffer. “I had no other means to reach out to my people with that message than through music,” she says. Joice is now a student at St. Lawrence University working toward a bachelor's degree in social work and social administration. “We show a refugee community that is nationally and transnationally integrated, contributes in positive ways to the national economy, is economically diverse, uses and creates technology, and is far from uniformly dependent on international assistance," the Oxford study states. Click below to listen to Africa Dream Again, and find out more about their music. ​The Oxford team chose to conduct its research in Uganda, one of the world’s most hospitable countries to refugees. In a world where refugees face widespread hostility, often stoked by false propaganda for political gain, Uganda is the exception. Within this East African nation, refugees are placed in settlements in rural areas where they are allotted a small plot of land. Issued legal IDs upon arrival, they are entitled to move freely about in the country, and many migrate to urban areas, like Kampala, to find a job, start a business, and enroll their children in school. Rarely today do we see a country open its borders as freely as has Uganda. Its case is all the more exceptional when one considers its neighboring states are in perpetual conflict. What explains Uganda’s surprisingly progressive refugee policy? 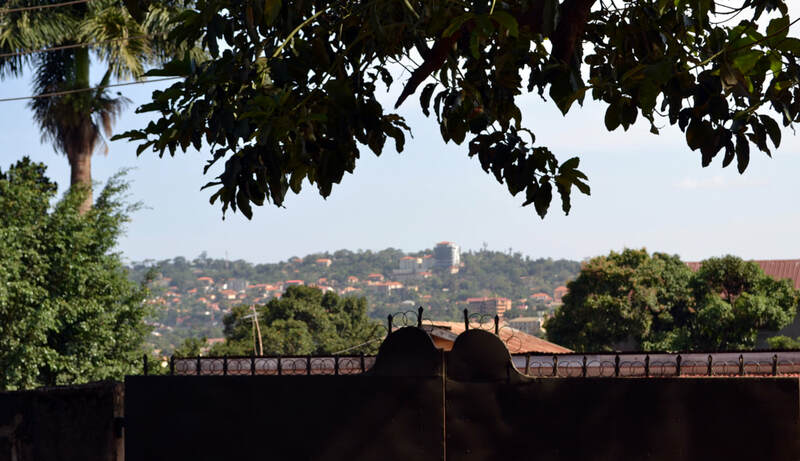 Perhaps it is because the country’s president, Yoweri Museveni, lived in exile for years during and after the bloody dictatorship of Idi Amin before assuming power. Despite Uganda’s well-intentioned refugee policy, the country faces very real constraints. Uganda has the highest youth unemployment rate in Africa, at 30 percent, and an annual GDP of $600 per capita. It receives about $200 million in refugee aid from the UNHCR, an amount that is not likely to increase given the demands on donor governments to support refugees elsewhere in the world. Meanwhile it has experienced an increased influx of refugees over the past year, especially from South Sudan, with over one million crossing the border. 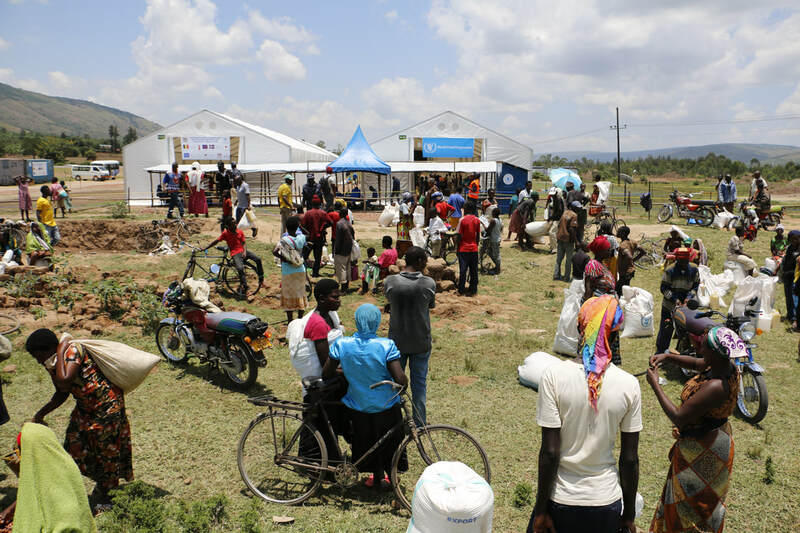 Refugee aid in Uganda, as is typical in most host nations, is usually linked to settlement areas – leaving those in urban areas to fend for themselves. 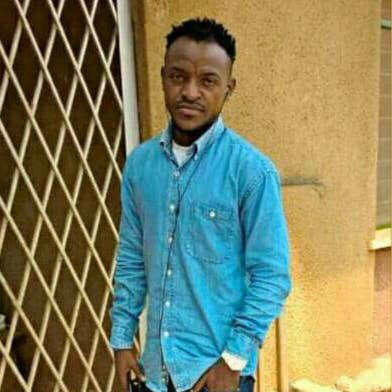 Consequently hundreds of thousands of refugees in urban centers like Kampala have been forced to rely on their natural entrepreneurial talents and strong social ties to survive. Makerere University, one of Africa's most highly reputed institutions of higher learning, seen in the distance from inside OneYouth OneHeart's headquarters in Kampala. Photo credit: Nora Bouhaddada. Indeed, vibrant economic activity often thrives below the radar in Kampala, at the grassroots level. The more I learned about the remarkable refugee ecosystem there, the more I appreciated its regenerative essence and the more I wanted to witness it first-hand. In August 2017, I decided to visit Uganda, not really knowing where the journey would lead me. It was not the first time I had been in this part of the world, but it was my first visit to the country Winston Churchill called ‘The Pearl of Africa.” Uganda is indeed a beautiful country, but it was the people who most impressed me and who will live on in my memory. 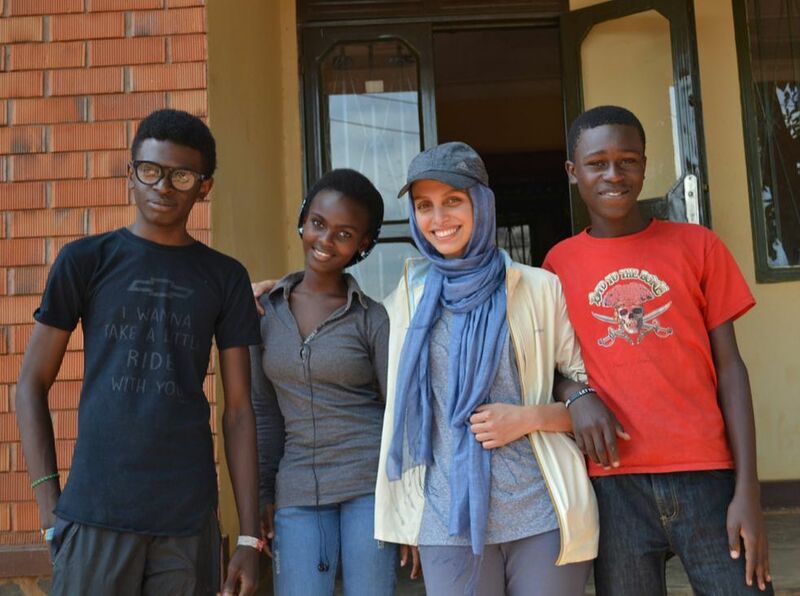 During my stay in Kampala, I had the opportunity to connect with two extraordinary, refugee-led organizations: YARID (Young African Refugees for Integral Development), and OneYouth OneHeart. Both have adopted innovative approaches to refugee community engagement. Their stories bear out the conclusion of Oxford research: when refugees are given self-empowering tools, they not only thrive, but become valued assets to their host communities. --Nora Bouhaddada. Nora has been a valued member of the Capital Institute team for four years. She will be attending University of London's School of Oriental and African Studies (SOAS) this fall, pursuing a Masters degree in Migration and International Development. She is excited to continue to explore how what she has learned about regenerative systems can be applied to refugee economies. Nora with members of OneYouth OneHeart.